What Are The World's Busiest Routes For 4 Billion Passengers? 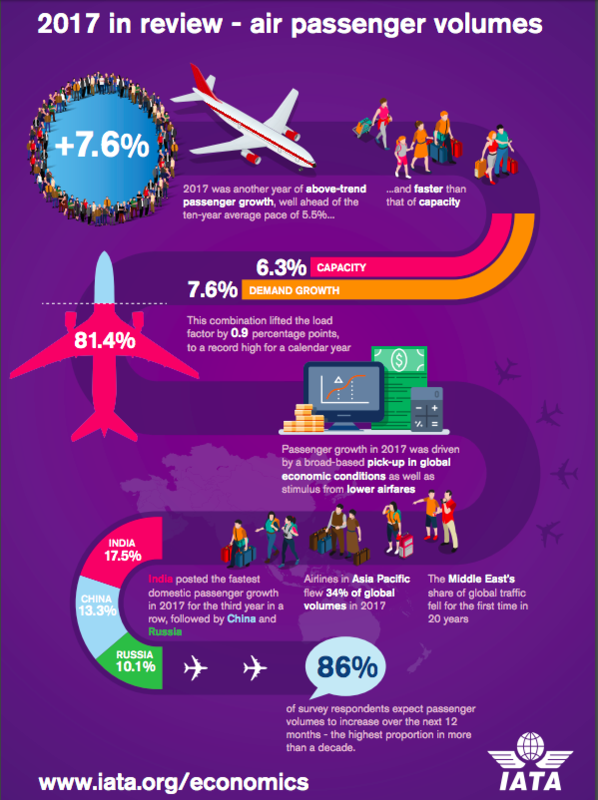 2017 was another successful year for the travel industry as near 4 billion people flew to different locations around the world. With this many trips flown, have you ever wondered which routes are the busiest in the world? 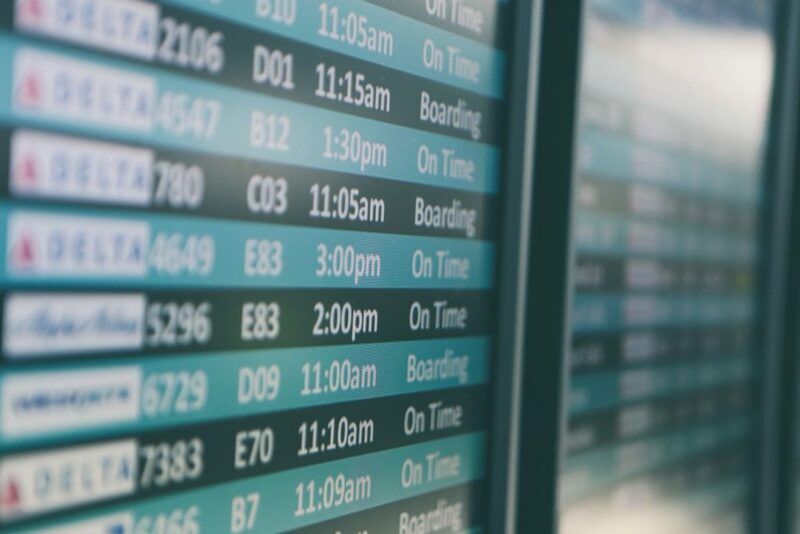 OAG has the world’s largest network of air travel data and provided us a list of the busiest routes across domestic and international markets. In this post, Experience The Skies explores the details and look for marketing opportunities. IATA published key metrics for 2017 which indicated that RPK, ASK and load factors all improved around the world. 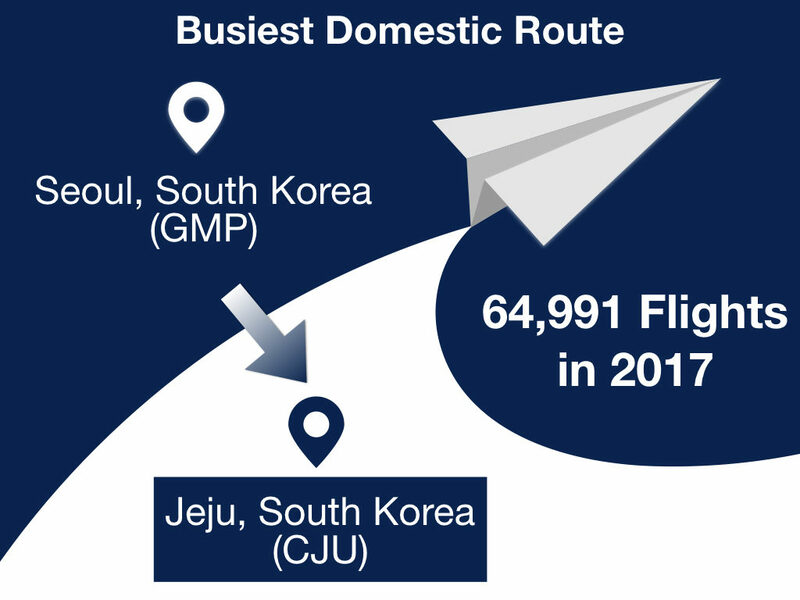 The busiest domestic route continues to be the 282 mile (451 kilometer) tripper between the South Korean capital Seoul’s Gimpo International Airport (GMP) and the resorts based Jeju Island’s Jeju International Airport (CJU). With almost 65,000 flights yearly, this route pair averages more than 178 flights daily. 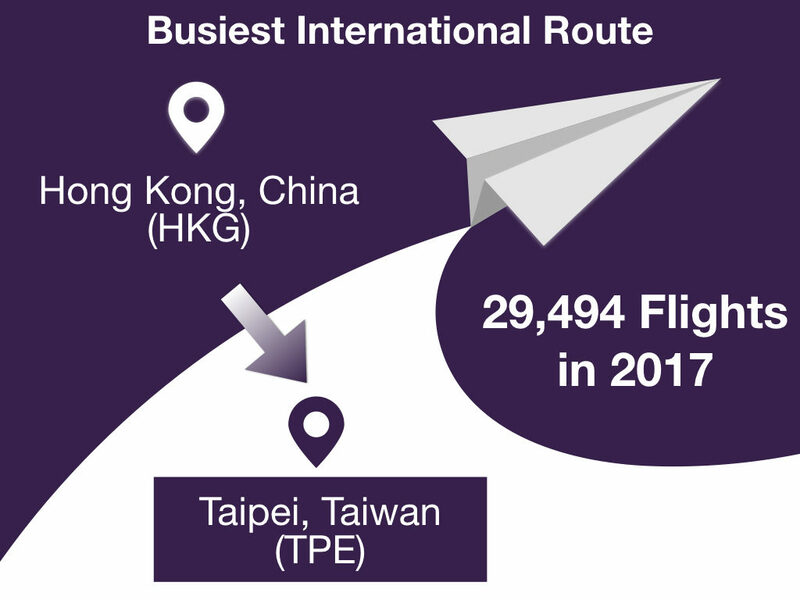 Internationally, the flight pair between Hong Kong International Airport (HKG) in China and Taiwan Taoyuan International Airport (TPE) in Taiwan continues to lead with more than 29,000 flights annually. Airlines add frequencies to a specific flight pair based on by demand from business and leisure travels. The ones on this list typically possess both groups of travellers with demand that is consistent throughout the year. Travel within Asia continues to lead higher than average growth rates in 2017 with China and India expanding both domestic and international operations at a rapid pace. In all major continents (Asia, Africa, Europe, North America, South America and Australia), traditional network carriers are defending market shares with higher volume of low cost (LCC) and ultra low cost carrier (ULCC) competition in their domestic markets. The latter carriers are marketing to potential passengers with attractive base fare options with no advanced seat selection, hand carry on baggage only and lack of other amenities such as status miles, upgrade opportunities, or food. Some network carriers such as All Nippon Airways introduced their own low cost carriers (Peach Aviation and Vanilla Air) to create a bigger marketplace and defend overall market for the airline group. With the introduction of newer generation of Boeing 737/777/787 and Airbus A320, A350 and A380 family aircrafts, airlines have been able to expand their route network in both distance and capacity. Traditional network airlines are starting to see more competition from LCCs and ULCCs entering the Trans-Atlantic (TATL) and Trans-Pacific (TPAC) market place with the likes of WOW Air, Norwegian, LEVEL, Joon, Air Asia, Hong Kong Airlines starting or expanding operations. These carriers use the same no frill marketing approach to entice potential customers to consider them on their next journey. Network carriers like British Airways, Delta Air Lines, KLM, Air France, and American Airlines are also introducing this same type of no frill fare to capture this segment of population. In the next post, we look into the future of air travel. Are the terms leisure and business enough to capture wants and needs for both domestic and international travel? How should different sets of travellers be marketed to? Awesome info. What about season, are they busy year round ? Great question. These routes are busy year round though some of the leisure routes may experience higher peak traffic based on holidays or season.